JG installs the new sound studio at Eastside Projects, Digbeth. 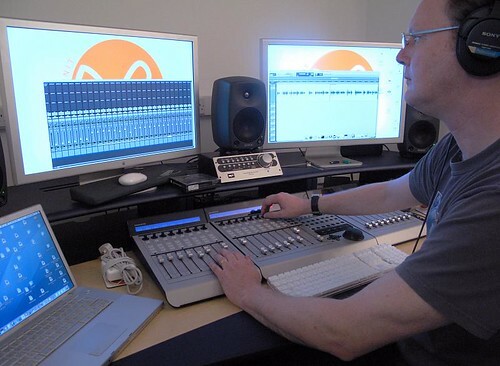 Based around an acoustically isolated control room and a recording booth ideal for voice-overs, the studio is based around Digidesign Pro Tools 8 HD3 system. Focusrite microphone preamps, AKG microphones and 5.1 Genelec monitoring. The studio also has facilities for field recording: AKG Blueline mics, DPA Windpac, Edirol solid-state recorders.